Bubble Suite is the PUP that uses misleading techniques to prevent removal. Use Reimage to locate malicious components and get rid of them faster than with uninstall instructions. A full system scan blocks virus reappearance and prevents traffic to malicious domains. What activities does Bubble Suite adware perform? How to get rid of cookies that this adware installs? How does this PUP spread and how to delete it? Question: Whenever I browse, the pages I’m visiting get filled with the pop-ups that contain a slogan „Ads by Bubble Suite.” Is it normal? Answer: NO. It’s not normal to see Bubble Suite ads during browsing. Even though the websites that people visit can display some ads, they may be labeled as brought by Google, brought by Bing or another reliable source. However, any advertisement that carries an unknown name should not be ignored. In terms of Bubble Suite ads, they are brought by an adware, so beware of them. Bubble Suite is a browser add-on that is compatible with Google Chrome, Internet Explorer, and Mozilla Firefox. Unfortunately, if it gets installed on any of them, it bring no real value because it’s a genuine adware and PUP that seeks to promote affiliate parties. Although during installation it may try to convince people that it’s a powerful ‘shopping assistant,’ it will neither save your time nor money. Contrary, it can make your web browsing unbearable because it may generate a continuous flow of ads that are linked to predetermined websites. Therefore, Bubble Suite redirects can make you visit irrelevant domains that belong to third parties. According to the recent researches, those websites can inform about prize giveaways, missing updates, require to fulfill a survey and so on. Such and similar offers may lead to the infiltration of other PUPs or may trick you into using unreliable services. Therefore, DO NOT ignore ads that start showing up all of a sudden, especially those that make you visit suspicious third-party websites. 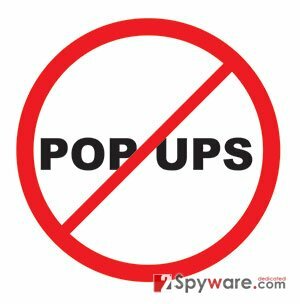 In order to stop Bubble Suite ads from appearing, you should remove an adware that causes them. The best solution for that is to run Reimage. Here, look for Bubble Suite or any other recently installed suspicious programs. Wait until you see Applications folder and look for Bubble Suite or any other suspicious programs on it. Now right click on every of such entries and select Move to Trash. When in the new window, check Delete personal settings and select Reset again to complete Bubble Suite removal. Once these steps are finished, Bubble Suite should be removed from your Microsoft Edge browser. Here, select Bubble Suite and other questionable plugins. Click Remove to delete these entries. Now you will see Reset Firefox to its default state message with Reset Firefox button. Click this button for several times and complete Bubble Suite removal. Here, select Bubble Suite and other malicious plugins and select trash icon to delete these entries. Click Reset to confirm this action and complete Bubble Suite removal. Here, select Extensions and look for Bubble Suite or other suspicious entries. Click on the Uninstall button to get rid each of them. Now you will see a detailed dialog window filled with reset options. All of those options are usually checked, but you can specify which of them you want to reset. Click the Reset button to complete Bubble Suite removal process. This entry was posted on 2015-10-19 at 01:58 and is filed under Adware, Viruses. You can quickly scan the QR code with your mobile device and have Bubble Suite manual removal instructions right in your pocket. How did you remove Bubble Suite?